It’s so hot these days and we’ve found a spot to cool down. 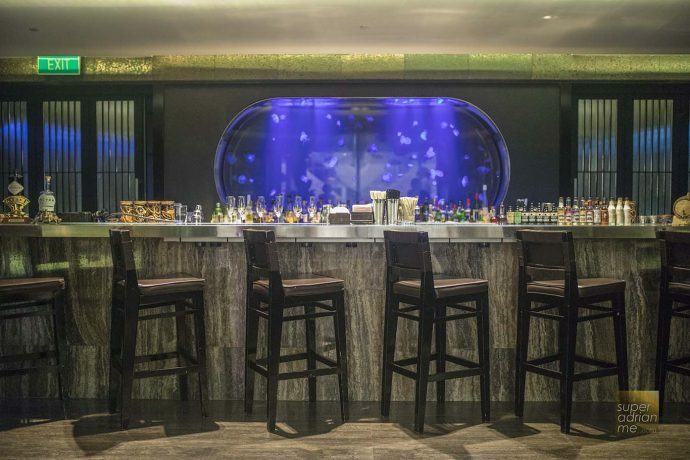 Bar Canary, located at Grand Park Orchard in the heart of Orchard Road, has recently relaunched last month. The alfresco bar located next to the hotel’s outdoor pool, offers a variety of seating options outdoors. The bar’s Boozy Pops are now available with popsicles by Popaganda. 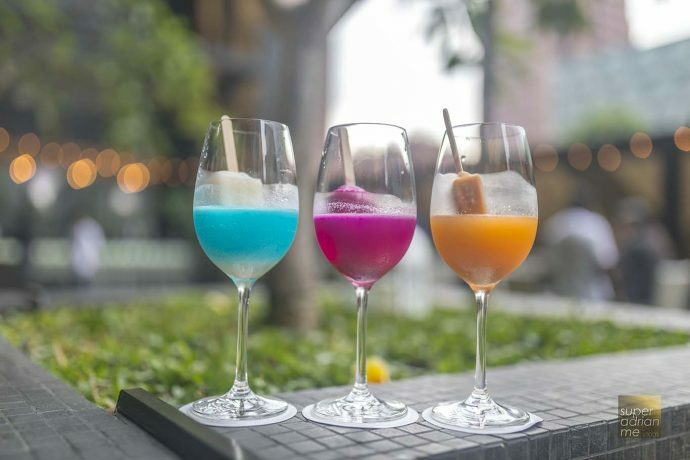 The popsicles are alcohol-free so you can have them on its own at S$6++ or you can dip them in a cocktail. Have one, have two, or have many. It’s your call. 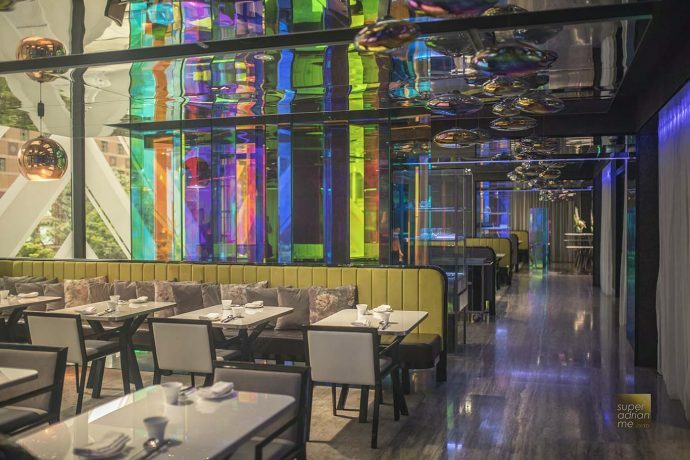 Have a Day in Paradise, Bittersweet Romance or The Exotic Space at S$22 each. The Bittersweet Romance is a modern narrative of Romeo & Juliet. Blood orange popsicle is paired with Champagne, stirred with Aperol and Angostura bitters. 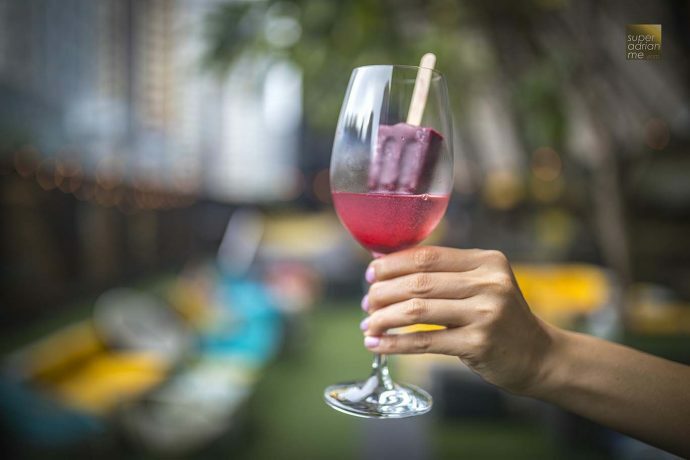 The Exotic Escape (pictured above) features a dragonfruit popsicle laced with mint, paired with feisty Tequila and fresh lime. A Day In Paradise features a young coconut popsicle paired with a concoction of Malibu, Blue Curacao topped with prosecco. Another unique flavour is the Imperial Tea Garden (S$18). Mixed berries and earl grey is paired with sake. Mind you, the sake is strong. And if it is still too warm outside, then head on into the airconditioned bar at Mitzo located on the same level of Bar Canary. We absolutely love the psychedelic colours in Mitzo.